During a home renovation, there is a lot going on, from construction traffic and dust, to design decisions – like what color to paint the walls, and what carpet you want installed. Rarely do people think about something as trivial as their exterior doors. That, however, is a mistake. Doors that open to the outside actually serve a very important purpose in the home. They are one of the best defenses you have between your house and the outside world. There are many aspects to consider when choosing which patio door you want to install. Keeping the following tips in mind, you will be able to pick your patio door with confidence. The first choice you need to make is the type of door you would like you have. 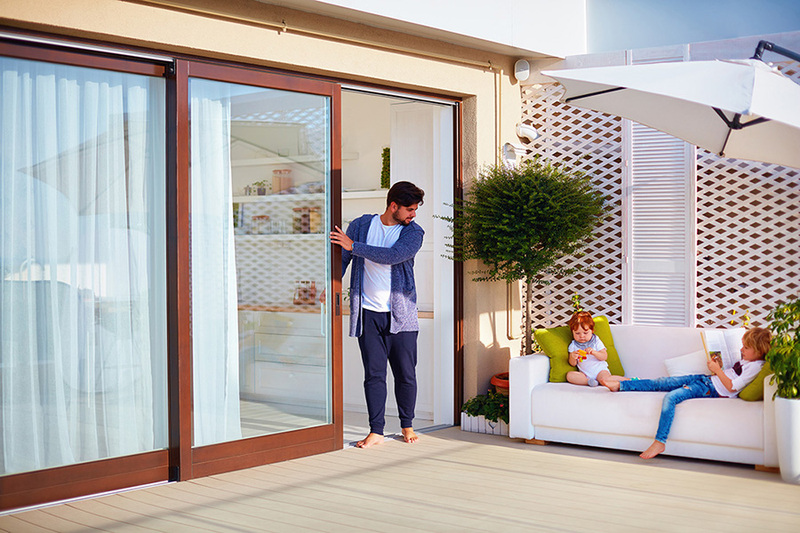 There are two basic types of patio doors: sliding and swinging. Sliding patio doors are great for saving space, as they do not take up any extra room to open. They offer a lot of natural light and create an effortless transition between your home and your patio. Swinging patio doors come in French, garden, and center-hinged varieties, and need to have the space to be able to open up. Swinging doors are easily customizable to fit your design needs. You can also choose to add extra elements to your patio door, if it suits you. Patio doors come in a variety of styles and colors. Different style grids can installed in the glass panes, giving your patio door a sense of dimension. As they can be designed in many different colors, there can be a patio door for every stylistic theme. There is also the ability to add a patio screen door, if you thought that best suited your needs. Customizing the door handles and other hardware is another way to make your patio door unique to you. Finally, there is the option of creating a blinds-interior glass door. This means you would have blinds of your choosing installed between two panes of glass. There are a few benefits to this, from adding to the aesthetic of your home, to not having to worry about cleaning the blinds. Patio doors can be made from a variety of materials. They can come in vinyl, wood, fiberglass, and aluminum. Each material has its own pros and cons. Vinyl doors can withstand severe weather and are made to last for many years. They are less expensive, but still energy efficient and can be designed in a many colors. Wooden doors are highly customizable and can be made to look more stylish. However, they are typically more expensive and will require more upkeep when exposed to the harsh external elements. Fiberglass doors require little to no maintenance, can be customized and can withstand extreme weather, although it is the most expensive material. Aluminum doors are the least expensive, but the material is inefficient at retaining heat or cool air inside your home. They can also be dented and scratched fairly easily. No matter what material you choose, living in Naperville, you should consider purchasing an energy-efficient door. Having an insulated patio door will keep your energy costs down, as it will keep your home warmer in the winter and cooler in the summer. No matter what patio door you end up settling on, one thing is for certain: you should enlist the help of a professional to install it. We at The Door Store have extensive experience designing beautiful patio doors. If you are ready to get started on your own door, don’t hesitate to contact us by filling out our easy online form or calling us at (630) 495-0100. We look forward to working with you!